Anyone who knows me knows that I love taking photographs and displaying them in our house. The more frames I have the better. 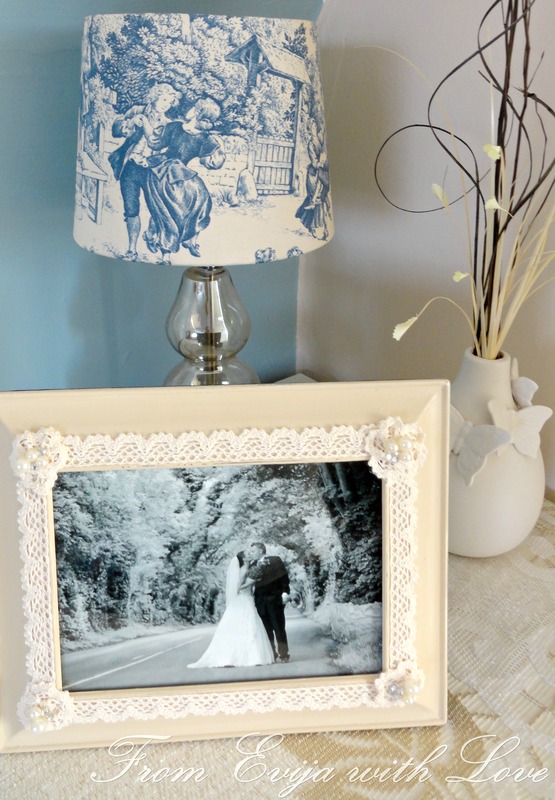 I am so excited to show you some of my favourite DIY frame projects that I absolutely love. I did this vintage inspired photo frame a while ago and I still love it. See this post on how easy it was to make! I love this display of photographs, which means you can change the photos without any problems. This is similar to the project I did with my diy peg frame. I love when people think outside the box (no pun intended!) when they create things and this is definitely one of those amazing projects! I adore these photo box frame shelves by Shanty 2 Chic. Here is a great way of displaying some unwanted frames in a new way! See what Anita from Cedar Hill Farmhouse did here. This is such a simple but cute project, very rustic and definitely one of a kind! Make a lovely chalk board frame, here is one of my favourites I found on Maison de Pax blog. I love this gorgeous frame tray I found on All things Heart and Home. Or how about using the frames to create this beauty like Confessions of a Serial DIYer did on this project? I love this great idea to turn a frame into a jewellery organiser as seen on Marty’s Musings. Or even framing your planters as this wonderful blogger did on Thrifty Rebel. Ahhh so many great ideas! I bought a frame to do that second project, but just haven’t jumped in yet… soon though hopefully!